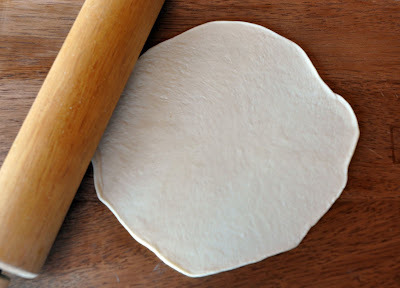 Homemade tortillas, fun to make and super easy. I love knowing exactly what is in the food I eat. When I checked on the bag of my store bought tortillas (which I thought were "healthy") I was surprised to find ingredients like: sugar, lard, a few different types of oils, along with of course a few other words I couldn't pronounce...when I see that I know it time for me to find a recipe to make it homemade. Whisk flour, baking powder and salt together in a medium bowl. 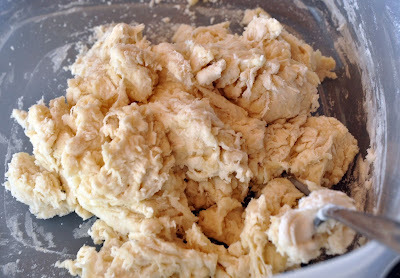 Cut the butter into very small pieces and add to the flour mixture. 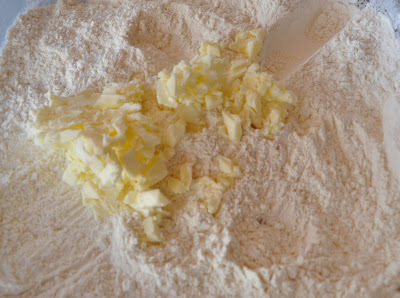 Using two forks, cut the butter into the flour until it has a mealy texture. Stir in 2/3 c. warm water with a fork until a shaggy dough forms. Turn out onto a floured surface and knead 3 minutes until smooth, soft and not sticky. Cut the dough into 8 to 9 small pieces for tacos or 4 to 5 larger pieces for burritos. Roll pieces into a ball. Cover dough with a kitchen towel or plastic wrap. Let the dough rest 30 minutes. 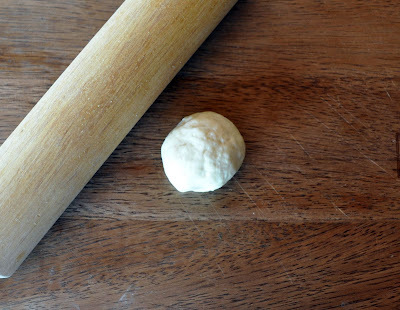 Using a rolling pin, roll out each ball into a thin circle (about 9 to 10 inches for tacos or 11 to 12 inches for burritos. Heat a 12-inch skillet on medium-high. Place tortilla in the pan and cook for about 30 seconds or until it puffs and just a few golden spots appear on the underside. Flip and cook for another 30 seconds. You don’t want the tortilla to brown or get crisp; you want it to remain soft and pliable. Great job! Here I am, 50% Mexican and I have never made my own tortillas. 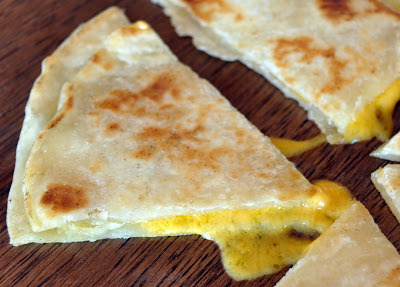 My excuse is that I want a tortilla press; but, now, you've proven that I don't need one. Thanks for the push. Yummy! Love the melted cheese shot. Debby, you have to make this recipe. So easy and rewarding. Don't buy a tortilla press you know it will sit in the back of the cupboard with the panini press! Plus it's more fun to have irregular shaped tortillas! 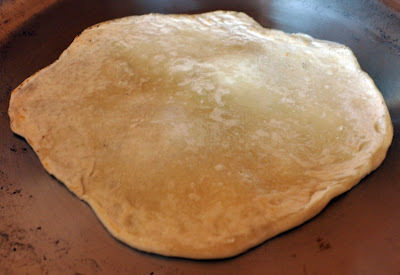 no..irregular shaped tortillas are not fun...they are annoying. But making your own anything is always better. 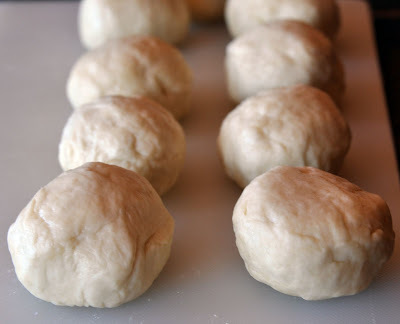 anonymous - If you are looking for perfection, weigh the dough balls before you roll to make sure they are all the same size then roll out into non-irregular shaped tortilla circles so you are not annoyed...best of luck to you. But really if it annoys you that much you should just buy premade from the store. 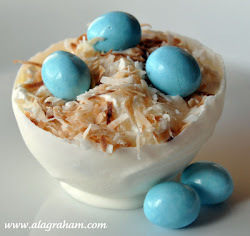 Tonya - these are so good!!! I made quesadillas, tostadas, tacos, YUM!!! Everytime we eat at Qdoba or other mexican restaurant, Kevin and I are like, where can you buy tortillas like these??? Well these are amazing! Do you think using stick margarine would work? I know it's not as healthy but so much cheaper. Thanks for the great recipe!! Thanks Steph! I would think you would have similar results but I am not sure I use butter for everything. Let me know how it turns out!